Six different Valentine's day card layouts to choose from in this vector bundle. 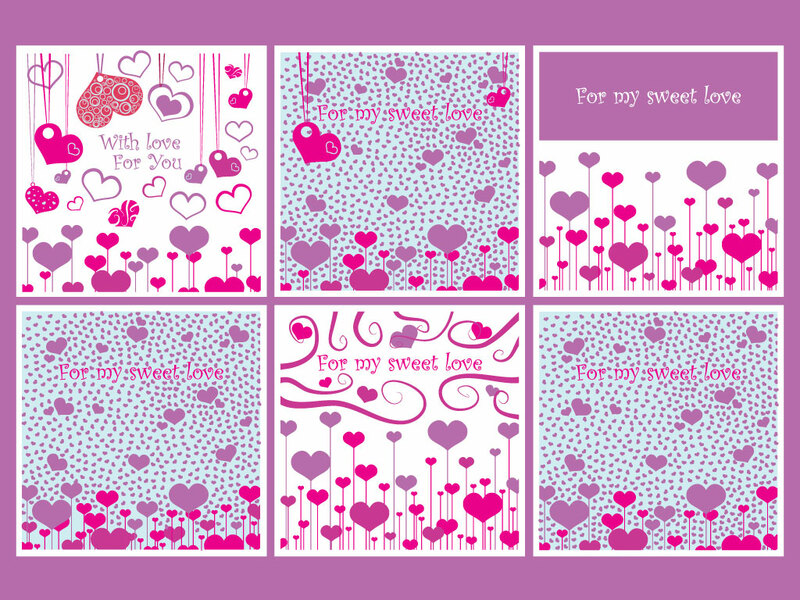 Cute and modern hearts patterns and graphics make these a great time saver for your Valentine's and romantic designs. Tags: Card, Hearts, Intimate, Love, Love Letter, Romance, Valentine.